Bob Hewes will lead us in a conversation that will provide a roadmap of key capabilities and characteristics he sees in his executive coaching and leadership development work. He will go over six essential characteristics and the key actions leaders should take for each. The talk will include a live leadership assessment tailored to each person. Finally, he will discuss characteristics that go beyond the capabilities that help leaders and managers power through to get results. The talk will provide practical tips and each person will leave with a personal leadership goal. Bob Hewes is a Senior Partner at Camden Consulting Group with oversight for leadership development, coaching and knowledge management. A skilled strategist, facilitator and coach, Bob designs and architects executive coaching and leadership development services customized to the unique needs of our clients. He also regularly writes articles on innovations Camden brings to the world of leadership development. 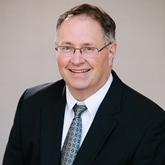 Bob has coached in a wide variety of industries and business areas including financial services, life sciences, biotechnology, retail, insurance, professional services, high-technology and information technology. Parking: The closest parking lots are the Hermann Garage and the Building E51 Lot on Amherst Street. The Hermann Garage is located off Wadsworth Street. Turn into the E62 parking lot from Wadsworth Street, and the garage is the very first right, directly under the library. After 5:00pm, an MIT Parking Permit is not required for either lots. For more information, click here.